Saturday’s victory in Sheffield sees the Giants remain in first place, one point clear of the Nottingham Panthers who have played four games more. Tyler Beskorowany started in the Giants net with the visitors missing Pat Dwyer, Guillaume Gelinas, Colin Shields, Matt Towe and Andrew Dickson. It was the visitors who would take a deserved lead after setting the tone in the opening period of play. Jim Vandermeer skated the puck into the Steelers zone, reversed a pass to Blair Riley whose shot rebounded in front of David Rutherford for the forward to slam home at 12:20. 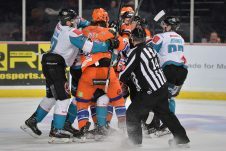 The hosts hit back in the middle period when former Giant Rob Dowd struck at 24:55 with the Steelers on the powerplay, assisted by Josh Pitt and Josh McFadden. After one goal in each of the opening two periods – this end-to-end game went up a gear in the final period. Belfast regained the lead in the second minute of the final period. Following good work by Hunter Bishop and Jonathan Ferland, Francis Beauvillier followed up on his initial shot to shoot high into the Steelers net. 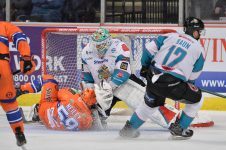 Giants Captain Blair Riley gave his side a two goal advantage at 49:44 as he and David Rutherford combined well for the visitors third goal. Eric Neiley set up a frantic finish when he pulled one back for the Steelers at 51:23, scoring on a penalty shot awarded by the Referee. 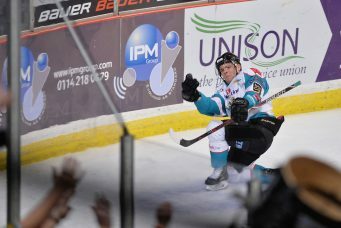 However Darcy Murphy secured the two points for the Giants with an unassisted empty net finish at 59:49. 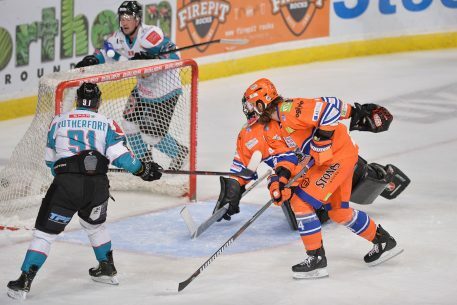 The Giants remain on the road with another clash in Sheffield on Sunday, face-off 4pm. Next at home for the Giants is the Cardiff Devils on Sunday 9th December, face-off 5pm, before facing the Dundee Stars two days later on Tuesday 11th December in the Challenge Cup Quarter-Final 2nd Leg, face-off 7pm. Tickets are available from the Arena Box Office, in person or by calling (028) 9073 9074 as well as online from ticketmaster.ie. Next articleOut to Lunch Festival pulls out all the (back)stops for a January to remember! 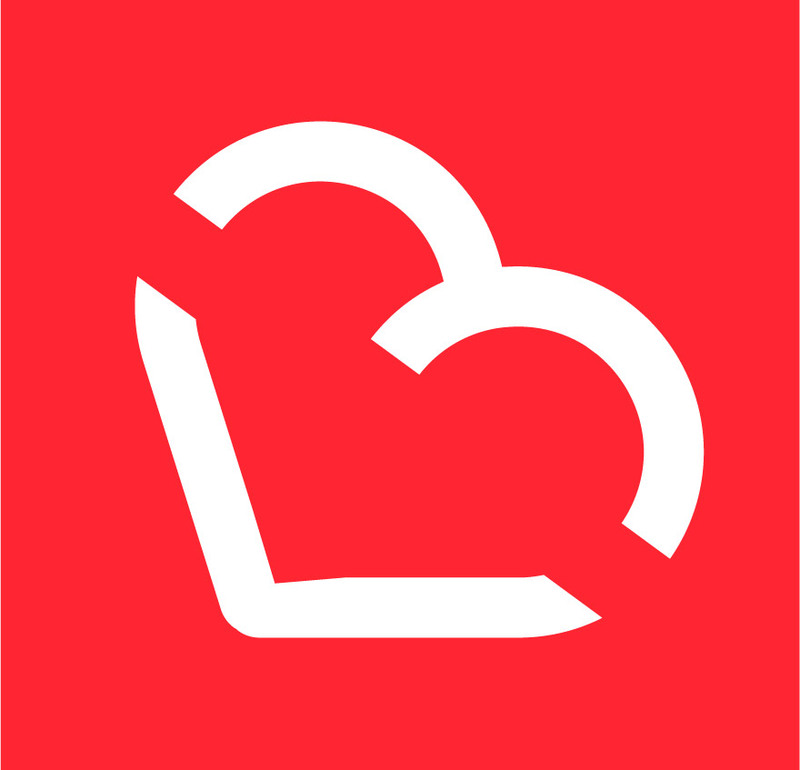 10 Reasons why Belfast is the best City in the World! 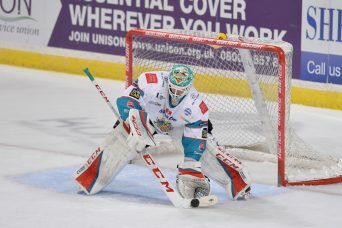 Ballymoney’s Andrew Dickson returns for fourth season with the @BelfastGiants!